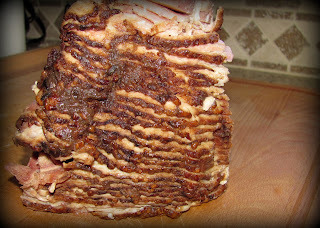 Mmm... it was a good ham! 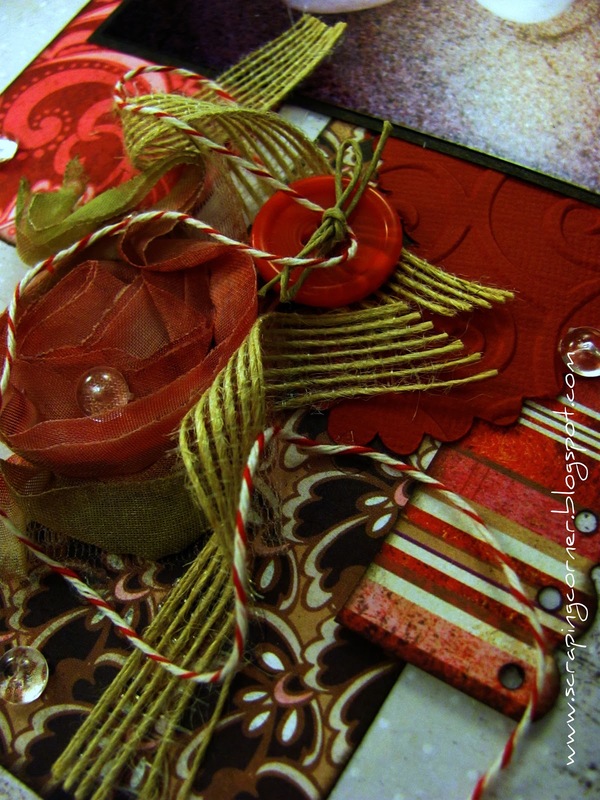 OK, time for something totally NOT about scrapbooking! Last night I cooked a brown sugar glazed ham (bone still in) and I must add, it was probably the best ham I've ever had the pleasure of eating! Normally I would have studed the entire ham with whole cloves. But this time I got lazy and just threw a handful of cloves into the pan, two bay leaves and filled the pan about 1/4 full with water. I put the ham on a rack so that it was suspended into the water but not sitting on the bottom of the roasting pan. I packed brown sugar onto the top of the bone ... 2 hours in the oven, and WOW!!! So yummy that I saved all the pan drippings for the next day - I put the broth into a ziplock bag in the fridge so any fat would float to the top and when I cut the corner off the bottom of the bag to release the liquid into my crockpot all the fat stayed in the bag!! Nothing better than having a wonderful meal one night and a terrific soup the next huh? What a fantastic purchase I made! I've been long searching for a Cricut cartridge storage solution. First I bought some of those boxes, (the same size as the box that the cartridges come in) that hold 8 cartridges and are supposed to hold the co-ordinating overlays and books. I found that they were too small to hold the books and overlays. So I was putting the cartridges in the box, and the books & overlays into ziplock bags. Then I tried the Jukebox - which I found more clunky and cumbersome than useful. Then I spotted this little beauty on Tina's website! $30 gave me a storage SOLUTION! Very neat and tidy, stores everything very well and organized. I love that it is made of a sturdy, wipe able material. 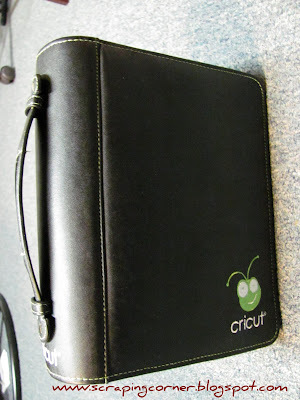 I adore the fact that it is branded with the adorable green Cricut head on it. I love that its black and the Cricut green. Forward thinking that it will hold my Spatula too! 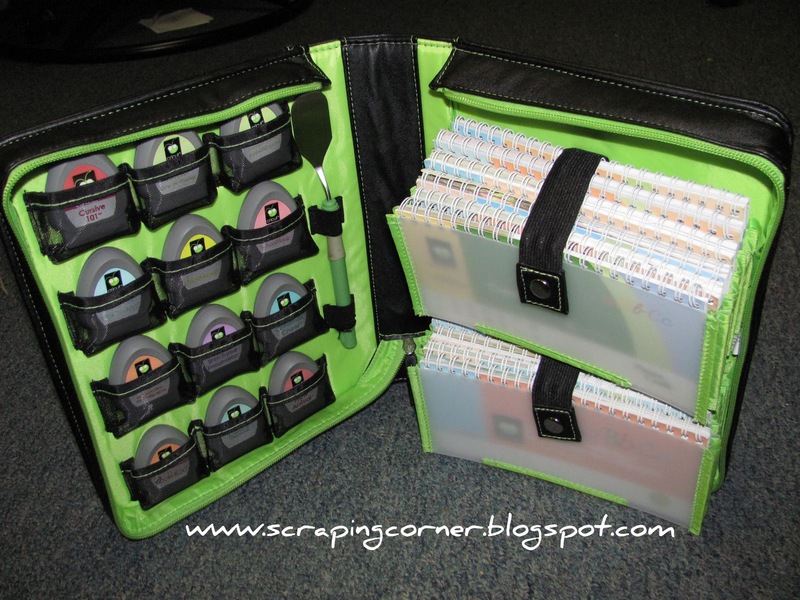 It holds twelve Cricut cartridges and the accompanying books & overlays, without crowding. The Elastic band holds the books in place and has a snap closure. (be sure to use the snap closure though - failing to do that can cause the books to all fall out if you pick it up by the handle and its unzipped) I think the handle on the back, very easy transport. My only - and I will stress ONLY grief is that it will not hold the paper books - you know the two page ones that come with the less expensive cartridges that only have a few fonts on them - like Street Sign, Blackletter, and Home Decor. The pockets on the Cricut Storage Binder is too narrow to hold them without folding the paper. When I was showing it off to my regular Tuesday night group of scrappers, it was a hit. I need to order two more now! After 6 months of using this Cricut Storage Binder I have become annoyed with two other factors on it. 1) the net pockets that hold the cartridge are black and therefore hard to read which corresponding cartridge in in that pocket. I would suggest in an updated version have these net pockets white so that you can read through them. 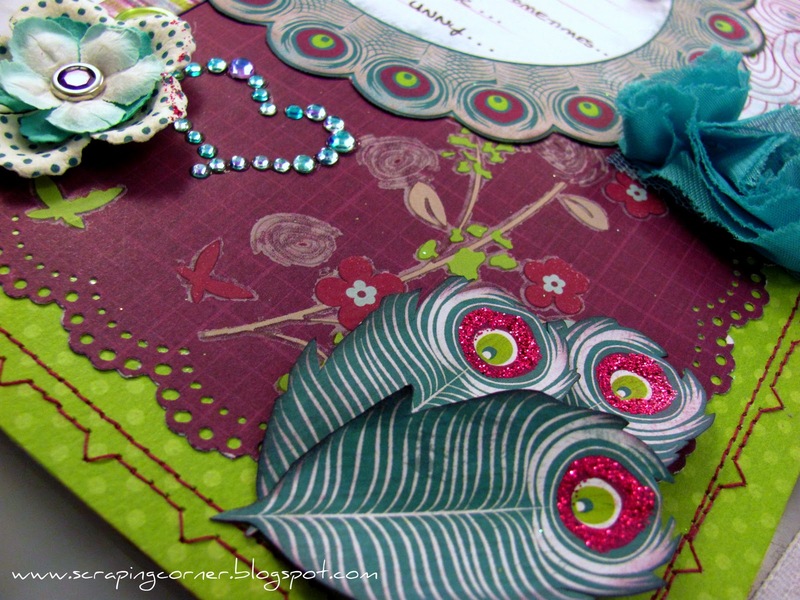 OK, so if scrapbook paper sits in your stash for two years, does that make it Vintage? I had allmost all of the entire collection of Basic Grey's Bittersweet still untouched. 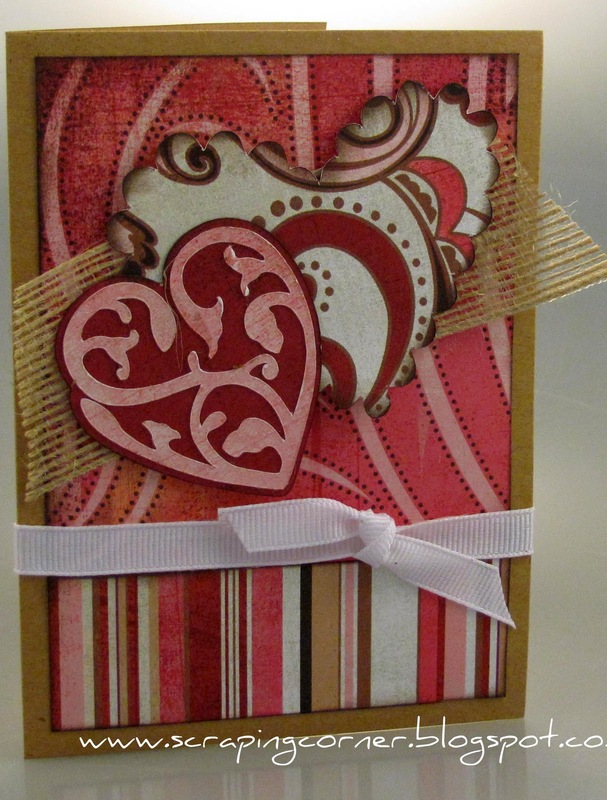 I had done a layout or two and I think maybe a card or two as well. But for the most part I hadn't used this collection for anything. 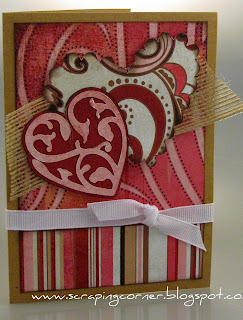 I promised my sister that I would help her make a Valentine card for her man on Sunday, so I thought I would pull out all the valentine papers and embellies that I tend to collect and rarely use. That being said, I made two cards (six actually, as I made three of each design - I find it easier to make multiples of the same card when I am designing it) and a layout. 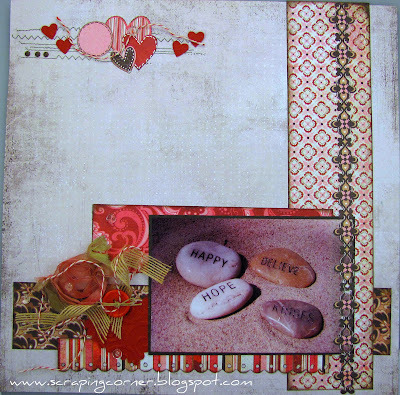 The layout I'm calling LOVE ROCK; and the photo is of some "shiny rocks" as my daughter calls them. They were part of a centerpiece to a wedding I went to years ago (Julia & Rob). I had put the rocks into my daughter's sand box and photographed them ... anyway, not a very exciting photo, but was a neat shot. I tried a minimalist approach to this layout - my husband says it's missing something ... I dunno, I think it's done. I glimmer misted an American Crafts rose ribbon - it started out white ... I love glimmer mist! Of course more stitching on this one too! Hello everybuggy! I've been watching too much Treehouse TV again methinks! Anyway, I did a fantastic layout on Tuesday night over at Candace's place. This photo is one that my best friend Jennifer Carroll took for me of my son - this was his first photo shoot! She is simply a fantastic photographer - look her up at her website here. I used Basic Grey's Curio line for this page and a little bit of Bo Bunny's Cambridge line and a couple of their Chiffon Rose trims. Some Prima flowers (and the packaging from the flowers). Some Webster's Pages trim. 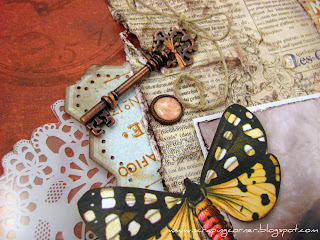 Tattered Angel's made the key, and some Dew Drops (love these little beauties) by Robin's Nest. In the corner I stamped with a Tattered Angels stamp and then I used a piece of dollar store trim with some Distress Ink for the honeycomb effect. I had seen that honeycomb effect done on another layout somewhere and LOVED it. Last but not least I used two of my hand-made corsage pins. OK, in the fourth photo I am showcasing my stitching again ... you may have to look hard, but it's there! Love my Husqvarna sewing machine!! Lemme know what you think! Leave a comment - you don't need a Google account to leave me a comment. 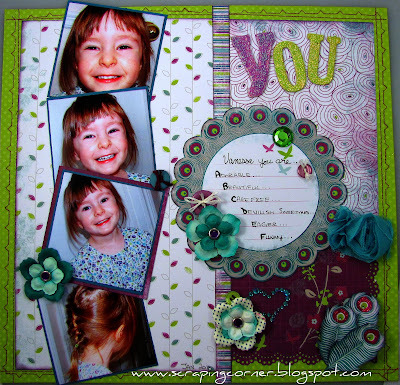 Echo Park - Little Boy collection - layout "Siblings"
Another layout for Auntie Em's Scrapbooking and Beading. 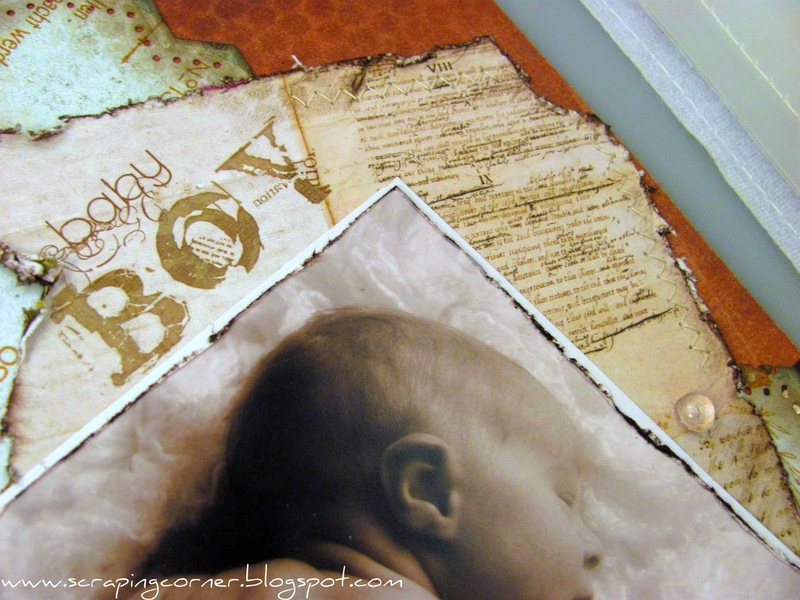 Again using the Echo Park - Little Boy collection. I combined some Bo Bunny Double Dot as well. 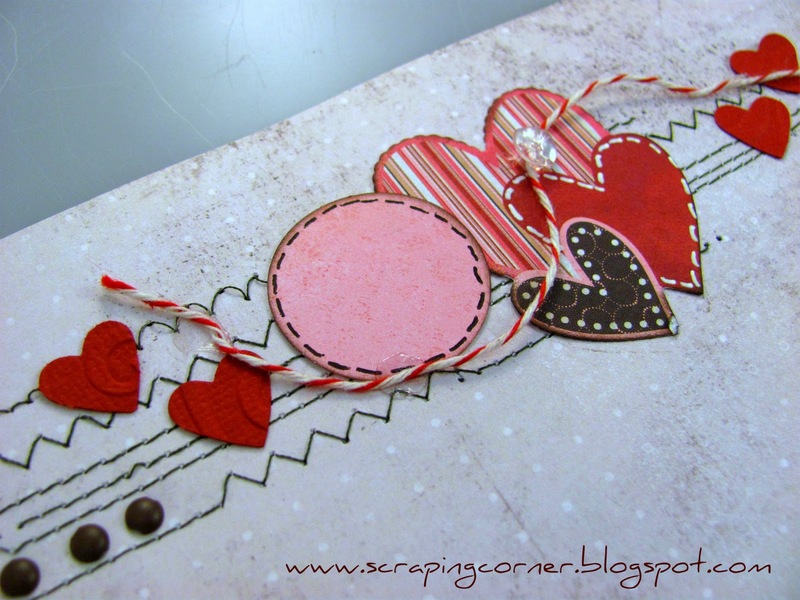 The background is Basic Grey - The Basics - I love that paper for backgrounds! I simply did a basket weave of several pieces of the patterned papers. I Glimmer Misted the corner of the page. I tried something new, cork! I'd never worked with cork before, but when I had been rummaging around in my Mother's basement last time I was home, I came across a stash of several sheets of cork in varying thicknesses that my Father had acquired probably 30 years ago! 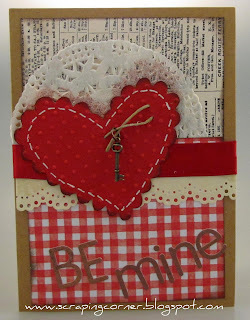 My title took me the longest to do on this, I first cut the letters out of both paper and chipboard. 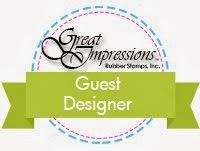 I stamped a floral image onto the paper letters in a Stampin' Up ink - Cherry Cobbler. 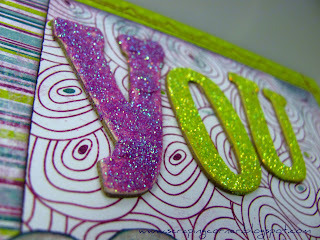 Then I ran the paper letters through my Big Shot with the Swiss Dots Cuttlebug embossing folder. Then I distressed the letters in Antique Photo ink by T!m Holtz which brought the swiss dots to life! "Two little eyes, discovering what's new, two little hands, touching everything in view, a sweet little voice, asking you why, a mischievous smile, a whimpering cry, two little feet, jumping on the floor, a toddler's mission is to explore." I hope you enjoyed this layout! Of course this one too can be viewed in person at Auntie Em's Scrapbooking in Cornwall. 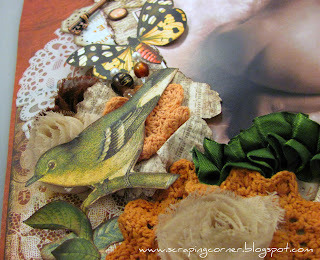 Be sure to check out both designer's takes on this Page Map here at Auntie Em's brand new blog! Leave a comment, become a follower! I started with Kiwi Double Dot as my background and stitched around the edges, and layed several colour blocks with the patterned papers. I cut out one of the images from the Cutout sheet for my journaling. I'm not really liking the quality of the rub-on, but it might be because it got too hot or too cold in the last few months. I used my I-rock gem setter and changed the colour of the gems with a Sharpie!! 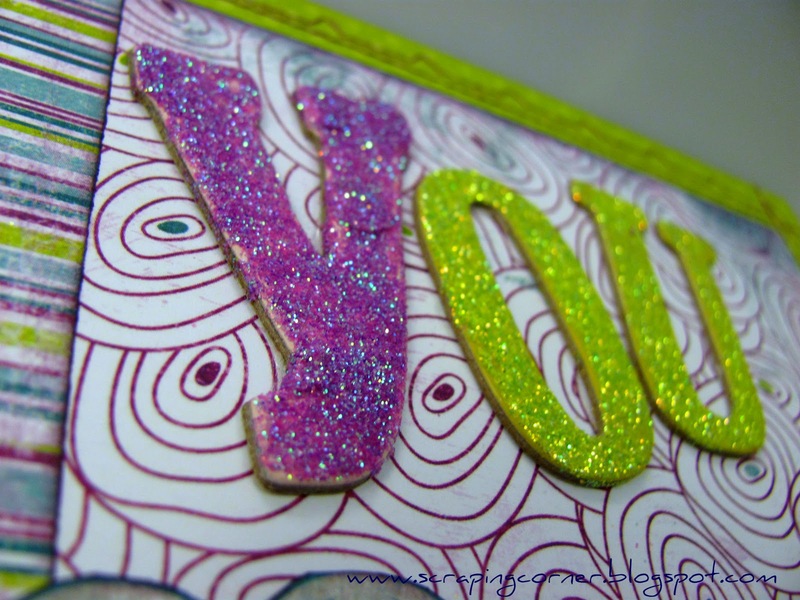 I used some Doodlebug Designs Sugar Coating sparkles on some random chipboard letters I had for my title. A little piece of a Webster's Pages Bloomer and some Prima flowers (the ones that I won on their web cast a few months back) I think it turned out alright! "Vanessa you are ... Adorable, Beautiful, Care free, Devilsih sometimes, Eager, Funny"
I can't wait to see Mellisa's creation, and yours too!! 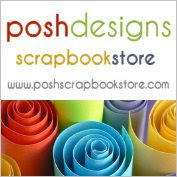 Be sure to email them to Emma at Auntie Em's Scrapbooking & Beading.